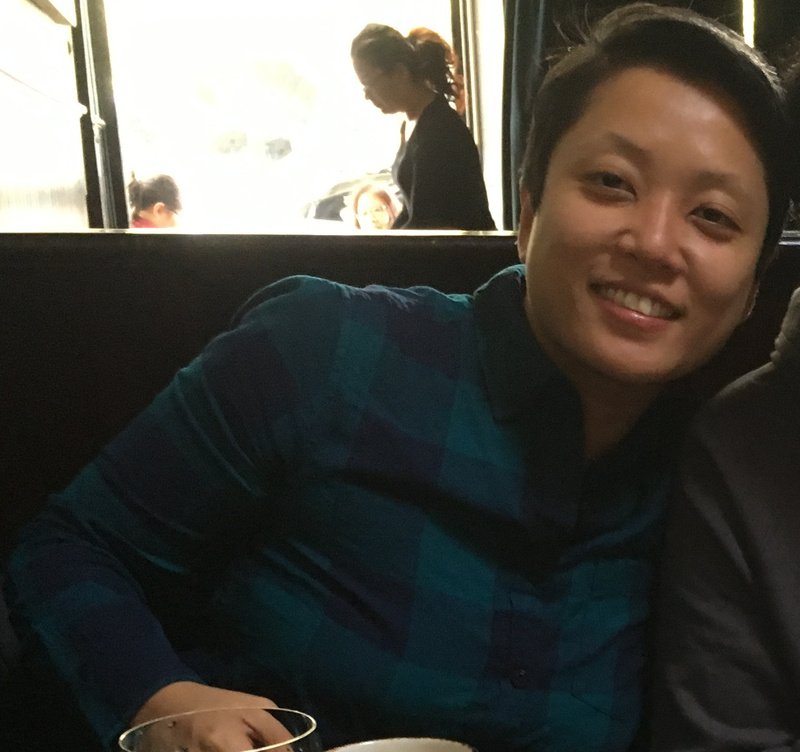 JEAN KIM, a queer, Asian-American Korean, is one of APIENC’s most active volunteers. She “got pulled into the mix” through her friendships with staff members and volunteers. As Jean became more familiar with APIENC, she found that the volunteers were passionate, and was inspired by how much they believed in this work. Jean was motivated to join a group of people who actively works together towards a common cause. Jean first got involved through the Dragon Fruit Project. She immediately fell in love–the Dragon Fruit Project captured the stories of people she identified with. While Jean was in the process of coming out as queer, the internet was just beginning to grow, and she had trouble finding resources that reflected her identities. Growing up queer and Asian-American in the Midwest, she didn’t know anyone who understood her experience. At her first Transcribing Day, Jean felt connected to the subject of her interview, even though she didn’t know them. If she had a resource like the Dragon Fruit Project when she was coming out, she wouldn’t have been as scared, and would have felt like there was a community she could belong to. Because of this, Jean is committed to her work with the Dragon Fruit Project, and wants to help make LGBTQ API histories more accessible for those who are in the process of understanding their identities. At APIENC events, Jean enjoys giving consensual bear hugs. Not only are bear hugs energizing for Jean, but by greeting people with hugs, she hopes to communicate warmth and acknowledgement. For those entering the space for the first time, she hopes a consensual bear hug will make them feel included and make their first experience a positive one. Fun fact: Outside of APIENC, Jean enjoys watching football and concocting beverage creations. Jean, thank you for your hard work and continued support of APIENC! And of course, for the consensual bear hugs.